If one wonders what the distinct Homework sound is then much is to be found in their past aesthetic representation. When these two youngsters started messing around with turntables, back in 2007, they used to perform in immaculate white shirts and raven black ties. And even though longtime Dutch partners in musical crime Tom Waist and Zip Stolk have left this iconography behind, they still emanate an sense of clear-headed playfulness. Behind this swagger lies a wide-raging love for contemporary dance music that always comes in handy in the ever changing spheres of house music. Especially now that the genre is turning to ever stranger and/or vintage sources of inspiration with the likes of Round Table Knights, Jesse Rose, Renaissance Man, Claude VonStroke and Mowgli, whom the duo draw much of their inspiration from. After years of hunting for the freshest and most innovative sound, the two boys from Amsterdam really found their path when, in 2009, they hooked up with their friends The Heykids ("the kings of the Amsterdam underground scene") to organize what is now considered as one of the most innovative and revered club nights in Amsterdam: TAFKAF. The night focused on the newest house sound: a unique amalgam of a deep minimal set up combined with an 'anything goes' hiphop approach to sampling everything from Eastern chanting to Gypsy strumming. TAFKAF was the first party to present Amsterdam to the aforementioned 'midget' sound and its relevant players, bringing the city such talent as Solo (UK), Justin Martin, Renaissance Man and the New Judas crew. During those precious nights Homework saw their true calling. The realization of innovation overtook them. Since then they've always been looking for an innovative advance to music, sifting their way through trends and genres with the greatest of ease, always with a keen sense of class, style, aptitude and madness. Much of their evolution as artists can be seen in their ever-changing production work. After long and hard work on a varied oeuvre of different material, the boys got catapulted into the international house scene through the release of their widely supported 'Fissa Tune EP' on Exploited and the accompanying hype surrounding the title track 'Fissa Tune', which, through consistent appraisal from the likes of Brodinski and Jesse Rose, found its way to many a chart and dj set. Things are looking bright as a summer morning for the two youngsters and it seems their star can only rise to even greater heights. One thing is certain: wherever dance music goes, Homework will have found their way there, one step ahead of the hype, waiting for you to follow. “An incredibly respected figure of New York’s dance-music underground since the mid-’80s, Brooklyn’s Bobby Konders has been at the forefront of multiple movements, infamous parties, and radio programs that have kept house music alive and kicking. A selector, a label entrepreneur, a producer, a master of the airwaves, and a proponent of the breaking down of racial barriers, Konders’ spot in the dance music Hall of Fame should be reserved well before any ground-breaking ceremony. Konders first broke out as one of the higher-profile members of a collective that threw down at a series of parties called Wild Pitch, which helped fill the large shoes left empty by the unfortunate exit of the Paradise Garage. This DJ crew included Victor Rosado, Kenny Carpenter, Nicky Jones, John Robinson, David Camacho, DJ Pierre, and Timmy Richardson — just to name a few (not to mention occasional appearances by legends Tony Humphries and Tee Scott). 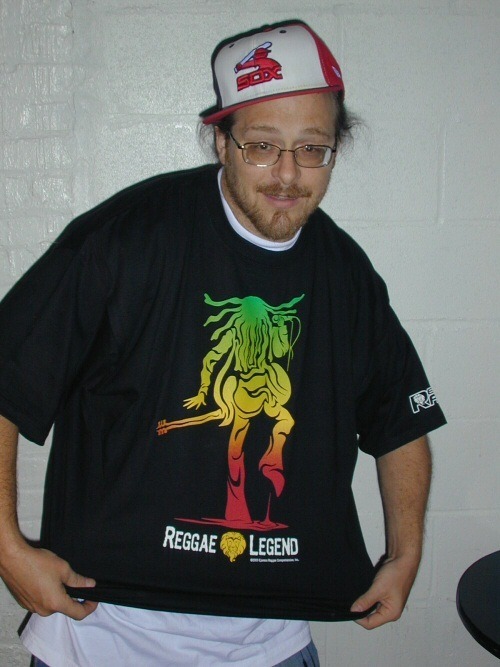 Just as Konders likes to point out that everyone bleeds red, he built his reputation as a DJ and producer on finding the common thread that runs throughout several styles of music: hip-hop, reggae, disco, house. During the late ’80s and early ’90s, Konders issued a series of productions on the Nu Groove label that went down well with the underground. At the height of house music’s flirtation with mainstream appeal, Konders and his Massive Sounds crew landed on Polygram for a self-titled album. Unsurprisingly, the material proved to be too raw and not pop enough to cross over, so Konders and company happily remained outside of the general public’s consciousness. 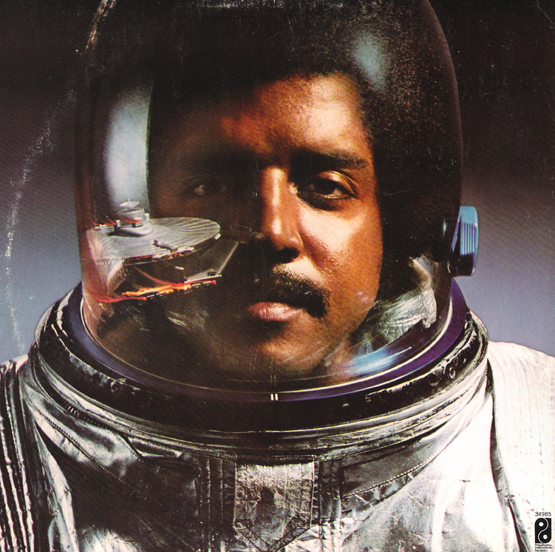 “Keyboardist/arranger/producer/recording artist Dexter Wansel can be heard throughout the catalog of Kenneth Gamble and Leon Huff’s Philadelphia International Records. His skills can be heard on non-PIR sides like Jermaine Jackson’s “Where Are You Now” from his gold LP Let’s Get Serious and “Tonight” from Junior’s Acquired Taste LP. His frequent songwriting partners were Cynthia Biggs, Bunny Sigler, and T. Life. A synth pioneer, Wansel’s first LP arranging assignment was several tracks on Carl Carlton’s 1975 LP, I Wanna Be With You, produced by Bunny Sigler. A Biggs/Wansel song, “The Sweetest Pain,” a duet between Wansel and Jean Carn, originally a 1979 single from Wansel’s Time Is Slipping Away LP, was a popular radio-aired LP from Loose Ends’ Zagora LP. Two of Carn’s LPs, When I Find You Love (entirely produced by Wansel) and Sweet and Wonderful, and Jean Carn and Happy to Be With You were issued on a two-album single CD by U.K. label Westside Records in early 1999. When Wansel was 12 years old, he got the job of a gofer for the Uptown Theater in Philadelphia, going to get sandwiches and clothes out of the cleaners for the various acts that performed at the venue like Stevie Wonder and Patti Labelle. Many years later, Wansel would co-write a number one R&B hit for Labelle. In 1975, Wansel met Kenneth Gamble and Leon Huff when he was a member of a band called Yellow Sunshine, which also boasted guitarist Roland Chambers who would later become a part of MFSB, the house band for Gamble & Huff’s Philadelphia International Records. Becoming a part of the staff creative collective, Wansel began arranging, playing keyboards, and writing songs for the label’s acts including the O’Jays, Teddy Pendergrass, and the Intruders, among others. When Patti Labelle signed with PIR, she recorded Wansel’s “Shoot Him on Sight,” a song Wansel intended for Jackson Browne, on her 1981 album The Spirit’s in It. A song Wansel co-wrote with Kenneth Gamble and Cynthia Biggs, the lovely unrequited love ballad “If Only You Knew,” held the number one R&B spot for four weeks in early 1984. It was on her I’m in Love Again LP, which went gold, hitting number four R&B. Wansel’s own charting LPs were Life on Mars from summer 1976 (includes two tracks with Instant Funk, “Life on Mars” and “You Can Be What You Wanna Be”), What the World Is Coming To, Voyager (with its great space-age oriented graphics) from spring 1978, and Time Is Slipping Away from 1979. Several tracks from his LPs were radio-aired LP tracks (the lushly orchestrated “Theme From the Planets,” the spacy, funky “Disco Lights”) and some songs — “Together Once Again,” “One Million Miles From the Ground,” and “Holdin’ On” — are still in singers’ repertoire today. “Holdin’ On” was a radio-aired LP track from actor Lawrence Hilton Jacobs’ self-titled album produced by Lamont Dozier. “Global Warming” from the 1991 PIR/Zoo/BMG CD Universe Featuring Dexter Wansel received some airplay on smooth jazz radio stations. During the ’90s, Wansel continued to work with the reactivated Philadelphia International Records and occasionally toured. 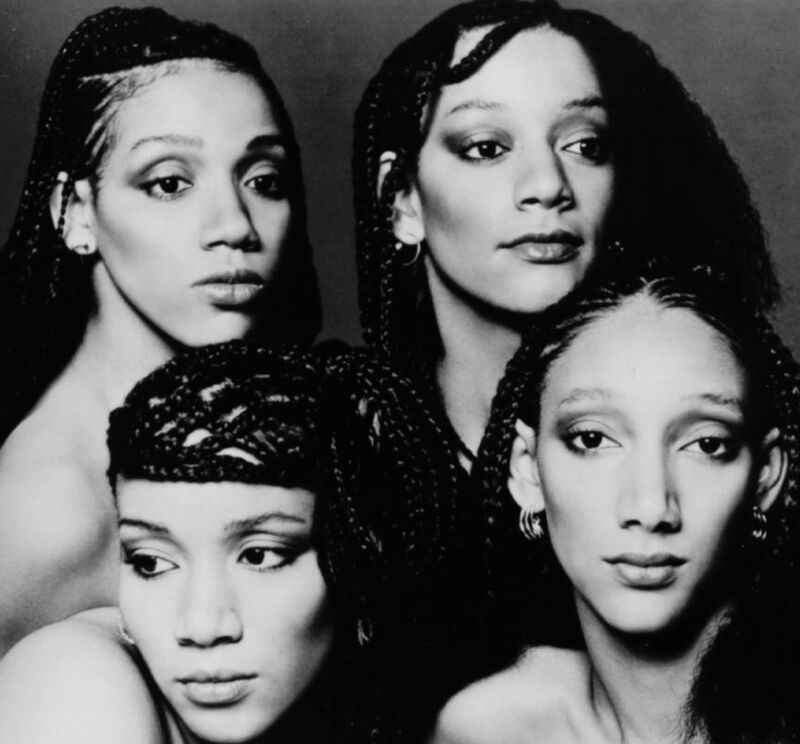 “Best known for their work with Chic in the late ’70s, siblings Debbie, Kim, Joni, and Kathy Sledge — collectively Sister Sledge — reached the height of their popularity during the disco era but had been recording since the early ’70s and were still active in the late ’90s. The group was formed in Philadelphia in 1971, when the sisters’ ages ranged from 12 to 16, and they recorded their first single, “Time Will Tell,” for the Philly-based Money Back label. (For the first few years, the group called itself Sisters Sledge.) In 1972, Sister Sledge signed with Atco and recorded its second single, “Weatherman,” which was followed by the Jackson 5-like “Mama Never Told Me” in 1973. Sister Sledge’s first national hit came in 1974, when “Love, Don’t You Go Through No Changes on Me” reached number 31 on the R&B charts and the Philadelphians recorded their debut album, Circle of Love. Their second album, Together, was released in 1977 and contained the number 61 R&B hit “Blockbuster Boy.” It wasn’t until 1979, when Chic leaders Nile Rodgers and Bernard Edwards produced We Are Family, that Sister Sledge really exploded commercially. “He’s the Greatest Dancer” and We Are Family’s title song both soared to number one on the R&B charts, and the latter (a number two pop smash) was adopted as a theme by the World Series-winning Pittsburgh Pirates. Kathi Baker - Fa La La (Feel The Heat) (1979) Waist. “Millie Jackson’s first taste of singing in front of an audience occurred one night at the famed nightclub Smalls Paradise. Sitting in the audience with friends, Jackson heckled the lady onstage and, when dared to do better, she stepped up to belt Ben E. King’s “Don’t Play It No More.” Jackson was hired for another gig within two weeks, but didn’t get paid. A gentleman by the name of Tony Rice took her to a venue in Hoboken, NJ, a couple of weeks later and then on to Brooklyn, NY, to perform for a nominal fee. Born in Thompson, GA, Jackson lived with her grandmother prior to moving to Newark, NJ, to live with her father in 1958. She grew up influenced by the sounds of Otis Redding, Sam Cooke, and later, the O’Jays. Her first single to chart was 1971’s deceptively titled “A Child of God (It’s Hard to Believe),” which many thought was a gospel track. Due to its heated lyrical content, the single was canceled, but still managed to peak at number 22 on the R&B charts. In the spring of 1972, Jackson had her first R&B Top Ten single with “Ask Me What You Want.” She kept busy performing in nightclubs and enjoyed her second consecutive Top Ten single with “My Man, A Sweet Man” in August of 1972; it peaked at number seven. (Ironically, the song was not one of Jackson’s favorites.) A year later, Jackson, whose vocal texture is similar to one of her idols, Gladys Knight, had her third Top Ten single with the moderately paced “Hurts So Good,” which peaked at number three on the R&B charts and made the pop Top 40. 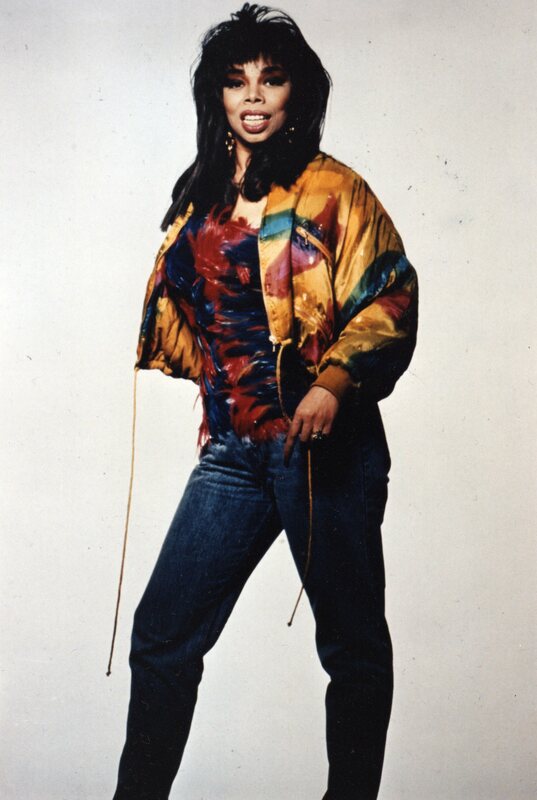 The single bore the title of her album and was also featured on the movie soundtrack for Cleopatra Jones. Jackson produced the album with Brad Shapiro. However, she was only given credit for the album concept. In Jackson’s own words, “…that’s when they (label owners) met the real Millie Jackson.” Thereafter, she was given credit for her efforts. “Let’s be honest: most of today’s club music protagonists are as exciting as dead meat. Or if you wish to choose more friendly words, we agree that they are servants of an alternative entertainment industry. Frank Timm a.k.a. Soundhack alias Soundstream is the great exception to this rule. This boy serves cuisine instead of fast food. But before he reached that state, the true-school Berliner had to graduate from the city’s club boot camp. Awestruck by Berlin’s basements and industrial places, where techno was in its early-nineties prime, Soundstream was overwhelmed by Detroit’s beauty and Chicago’s roughness. Unsurprising, he soon agitated in the coordinate system of the world-renowned record store Hard Wax. An institution that also distributes his labels Soundstream and Soundhack. The first one takes care of Timm’s never-ending love for disco and refined house music (take the ear candy of ‘Love Jam’ for example), the latter is dedicated to cut-up and loop adventures that are better described with folly than the customary house and techno signs. Therefore the scalpel is one of his typical tools of the trade. He chops, dismembers, deconstructs and mills - until he drops. However, he never creates Frankenstein’s monster and does not fall for the risks of this mode of operation: Sophistication and consciousness, safe from harm and also from being nerdy. “DJ tools with an attitude”, as Dr. Dre would say.